Digital marketing is evolving at lightning-fast speed. If you stop paying attention, it seems Google has released a new algorithm and everything you knew about Search Engine Optimization (SEO) or PPC advertising is suddenly old hat. Just think: A few years ago, mobile advertising was an afterthought for many businesses. Now, it is (or at least should be) a central component of any digital marketing strategy. So with all this rapid change, what can businesses do to stay ahead of the curve? What can they do to ensure all their digital marketing efforts – in the areas of social media marketing, SEO and PPC advertising, for example – aren’t being wasted? Well, for starters, you need to use the right digital marketing tools. CRM, web and social analytics, and marketing automation tools are an absolute necessary, because effective digital marketing is shaped by data. Yet, beyond the right mix of digital marketing tools, businesses have to stay plugged into the latest marketing trends. For businesses of all types – from local service providers, to global distributors – SEO can be a powerful digital marketing tool. Earning the top spot on Google for a relevant term is the equivalent of naming your towing company A1 Towing in the phone book era. What’s different: Searchers today have thousands of these “micro-moments.” In each of these moments, searchers are reaching for a smartphone to look for information. Sometimes the queries are simple, i.e. nearby landscapers. And sometimes, they’re complex, like calculating mortgage rates. Type a search in Google and what do you see? Chances are it’s not just text. You might see a Position 0 box, or a map with providers displayed. Google also recently introduced an Answers Box, which features specific answers pulled from websites. These are all examples of “snippets,” and they’re changing how search results are displayed. In fact, research suggests about 20 percent of searches that ask a question display featured snippets. Snippets represent a massive marketing opportunity for businesses. Why? Customers likely have many questions relevant to your service area and your business. Optimizing content to appear in these snippets (and of course, answer these relevant questions) can help you attract and get your brand in front of customers who are looking for useful information and products. 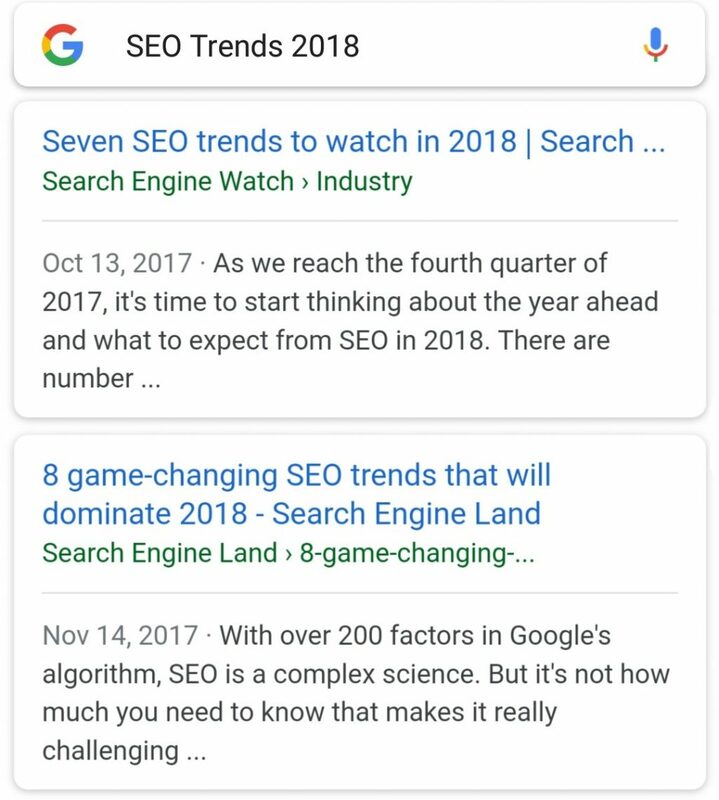 “OK Google, find me SEO trends for 2018.” Maybe that’s how you landed on this article. And the truth is voice search will take off in 2018. In fact, comScore thinks 50 percent – that’s right, half! 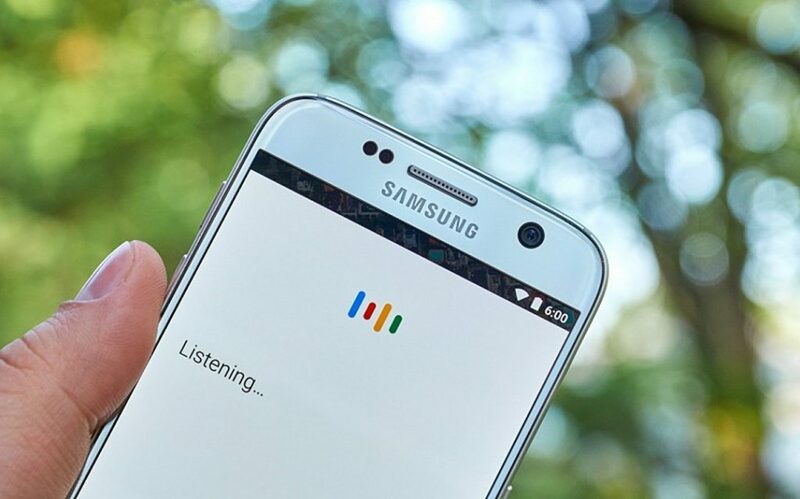 – of all mobile searches will be voice generated by 2020. And it makes sense: We’re increasingly using products like Amazon Echo and Siri to find information online. What does this mean for SEO in the coming year? For starters, businesses should be adding conversational, long-tail keywords to their SEO strategy. These keywords more closely match natural speech, and they’re more likely to fit in local search. Plus, businesses should build a content marketing strategy around search intent. Anticipate the types of searches your potential customers will complete. Then, generate content like blogs and landing pages that matches up with and answers their questions. Micro-moments mean businesses must optimize for mobile search. The reason is simple: When we search for businesses on a smartphone, our intent is high that we want to make a purchase, or at the very least, are interested in your product or service, where you’re located, or how to contact to your business. 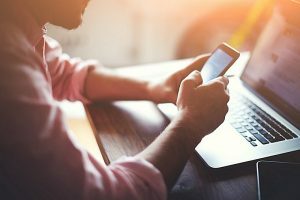 Businesses can optimize their content and SEO strategy for mobile in two ways. First, they should (if they aren’t already) be optimizing for local searches. Incorporating and aligning your brand with relevant local search terms – like (Your Type of Business) in (Your Location) – will get you in front of customers when it matters most. Secondly, businesses have to revise their marketing strategies to be mobile-first. More than half of searches are performed on mobile devices, and that’s only going to continue to grow. If your website doesn’t display right on a smartphone, if the site load lags, or if your content is too long for mobile readers – search engines and customers will turn away. So how can you fix it? Use shorter content. Fix technical issues to improve rendering and lag times. And make information easy to find. Bottom line, your mobile site should be welcoming and designed to convert mobile users. Social media marketing evolves every week. New hashtags pop up, emerging networks launch, and Facebook introduces a new advertising feature. And no matter how difficult it is to keep up, social media matters. For starters, your customers are on social media, and they’re using social media as they make purchasing decisions. According to a recent Crowdtap survey, 64 percent of users look for shopping inspiration on social platforms. Plus, social media adoption is on the rise among all age groups. Yet, increasingly competition is high on social platforms. It’s no secret that image-rich content can be a powerful digital marketing tool. In fact, there are some compelling stats to back up that claim. For example, Facebook posts with images receive 2.3 times more engagement, and Twitter posts that feature images receive 150 percent more retweets. This trend will continue in 2018 and beyond. The web is getting more visual. Users remember visual content, they engage with it longer, and they’re much more likely to share it with friends. Surveys suggest that users remember visuals that feature text much better (i.e. they retain about 65 percent of the information) compared to just 10 percent in simple text ads. So how can your business take advantage of visualization in 2018? For starters, visuals should be built into every aspect of your marketing strategy. On your blogs and social media, generate ideas for telling visual stories. Share your inspiring product or service pictures. Also, start using visualization platforms in 2018. Instagram Stories, for instance, continues to add users. The platform allows brands to tell compelling stories with pictures, and it’s the perfect tool for photographic branding for service businesses like restaurants or retailers. Snapchat too works well for B2C brands looking to attract younger demographics. Social media advertising allows businesses to reach highly niche audiences. You no longer have to blanket your entire social audience with a one-size-fits-all message. You can (and should be) developing campaigns that speak to individual audiences. Do you have customers who only engage with promos? What types of social media posts do your super fans engage with? Deliver each of these groups content they will love. Almost every social media site offers advertising targeting. For example, in Facebook, the Custom Audience and Look-Alike Audience features allow you to segment your followers list or generate audiences to market to that resemble your existing subscribers. Another approach: Examine your data to find specific times your audience is most likely to interact with your content. Explore historical data to see which types of content worked, and generate ideas for your future social marketing. And continually segment your audiences and develop campaigns that speak to each unique group. According to Facebook stats, users interact with live videos three times longer than traditional videos. In other words, live video represents a HUGE marketing opportunity for brands. And this trend will continue into 2018. Facebook, Twitter, and Instagram increase the visibility of live videos. So you’re much more likely to capture organic viewers with live vs. pre-recorded videos. So what should you do in 2018? Sure, video is a challenge to do right. 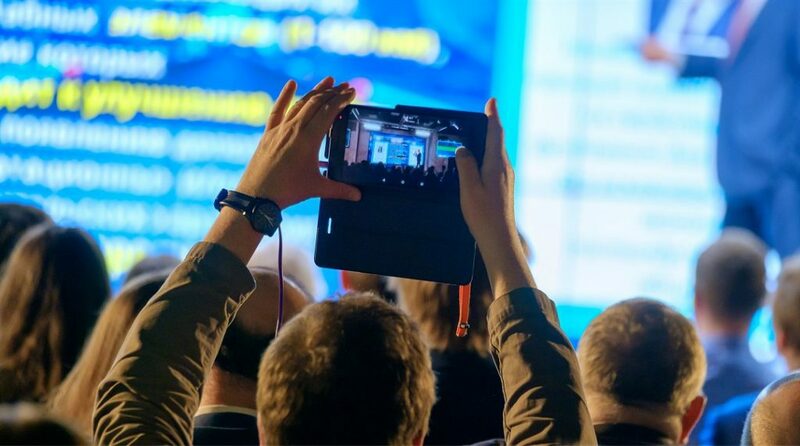 It can be expensive, but with some creativity, brands are making low-cost, timely live streaming content that their audiences love. Start with strategy. Develop a few types of content that work well in live streams, like Q&A videos with your employees or CEO, after-videos live from the field, etc. Then, examine your data to find the best times to go live. Finally, continually refine your live video marketing efforts and test different types of messages, formats and timing to determine which works best. PPC advertising is still around and kicking, and in 2018, PPC will remain an effective digital marketing tool for companies. Yet, some of those PPC “rules” you might have used in the past, are likely dated. Just a few years ago, AdWords didn’t offer great targeting. You were basically placing ads in front of an audience based on the keywords they used in a search. Sometimes it worked; other times it didn’t. Fortunately, PPC advertising on Google has gotten much more sophisticated, and that’s a trend that will continue into 2018. So as you begin to refine your PPC targeting in 2018, remember: Audience is just as important as keyword. Google (and the majority of paid advertising platforms, for that matter) allow you to target based on a variety of factors, including keyword, demographic, device type, geographic location, etc. And 2018 will see the introduction of a few new targeting tools to make businesses efforts more effective than ever. For example, Google recently released the Custom Intent audiences feature. The feature analyzes your PPC campaigns, website, and user search traffic to find and create audiences with a high likelihood of being interested in your product or service. In other words, now you can automate targeting. Until recently, brands had only a few lines of text to get their message across in ads on paid advertising platforms. That made it difficult to test multiple offers and alter texts to A/B what works. Google recently introduced a promotion ad extension feature. Now, companies can add clickable promotional offers that display just below their ads, like “30% Off Now.” This has the potential to be a game changer, as businesses no longer have to test multiple ads to get their offers out there. Another new feature for 2018: Adwords now offers a super-simple way to A/B test your ads. The Ad Variations feature allows you to test, analyze and modify multiple variations of an ad faster and at scale. No more generating multiple ads to test out a variety of promotions. You can automate a lot of your testing in 2018. Many businesses have long shied away from PPC on mobile for the simple reason that it’s too complex. But mobile isn’t going away, and compared to traditional PPC advertising, mobile users tend to have a stronger commercial intent. In fact, one survey found that 82 percent of mobile users use a smartphone to search for local businesses. That means: If a potential customer is searching for nearby businesses, a practical local PPC strategy can put you right in front of them at the right time. In 2018, you must start optimizing your PPC strategy for local search. Refine the keywords you target, and use targeting tools to focus on geographic locations and specific demographics within these locations. Plus, be sure you’re optimizing your PPC ads for user intent. When customers are using those buying keywords, you want to direct them to a product or landing page – not your homepage. 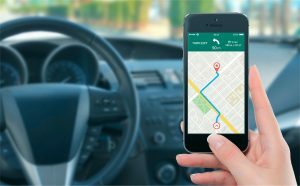 When they’re looking for nearby businesses, you want to give them a crystal clear idea of how to contact you, where you’re located, and your hours of operation. Digital marketing evolves so rapidly – it’s difficult to keep up. But as you shape your SEO, PPC and new Social Media strategies for 2018, the trends can be summed up in a few rules. If you incorporate those ideas into your 2018 Social, PPC and SEO strategy, you’ll wring bigger rewards out of your marketing budget. What strategies are you planning to use?